You can find information on specific mental health issues within the children’s and young people’s sections. Parenting can be the most rewarding and the toughest of jobs. We all want our children to be healthy and happy. Thinking about your child’s mental health and helping them to develop their ability to cope with life’s challenges is one of the most important things you can do. Children with positive mental health are more likely to have good physical health and achieve academically, and are less likely to misuse drugs and alcohol. Below you will find information, services and resources created especially for parents. Resources include how to support your child as well as how to look after your own wellbeing. Encourage self-help strategies – see the ‘Looking after yourself’ section. If you have concerns that a young person may be considering suicide, ask directly if this is the case and take appropriate action. The Carers Support Centre is a charity which provides support, information and advice to carers of any age living in Bristol and South Gloucestershire. If you are a parent carer in South Gloucestershire with a child aged 0-25 with a Special Educational Need and/or Disability (SEND), South Gloucestershire Parents and Carers are here for you! We are all parents/carers ourselves of children or young adults with a variety of SEND. We are on your journey. We have a real and in depth understanding of the issues we all face; from the challenges, to the joys our children bring. No diagnosis is needed to part of our group! We would like to welcome you into our friendly community and join us in the opportunities we offer for families of SEND children to come together, provide support and share experiences. The Wellbeing College is based around your needs and where being well is actually on the curriculum! We have a range of FREE courses on offer each term, including mindfulness, managing anxiety, and money management. We also have sports and physical activities, art sessions, cooking, and activities in the open air such as gardening or nature walks. For people aged 18 and over. The #Take20 Parents hub gives lots of tips about finding ways to create a relaxed space for talking with your child, by taking 20 minutes to do an activity together. There is also the Parents Lounge – where the Parents Helpline experts give their advice and tips on a range of topics chosen by you. Once a month experts are on hand to answer your questions on a chosen topic live on Facebook. The Anna Freud National Centre for Children and Families has developed and delivered pioneering mental health care for over 60 years. Anna Freud aims to transform current mental health provision in the UK by improving the quality, accessibility and eﬀectiveness of treatment. They believe that every child and their family should be at the heart of the care they receive, working in partnership with professionals. For parents and carers who are looking for help the centre offers a range of specialist treatments and assessments and for children, young people and families. The service is made-up of highly experienced clinicians from a wide range of disciplines in including Clinical Psychology, Child and Adolescent Psychotherapy, Psychiatry, Play Therapy, Social Work and Family Therapy (for more info on disciplines please click here). 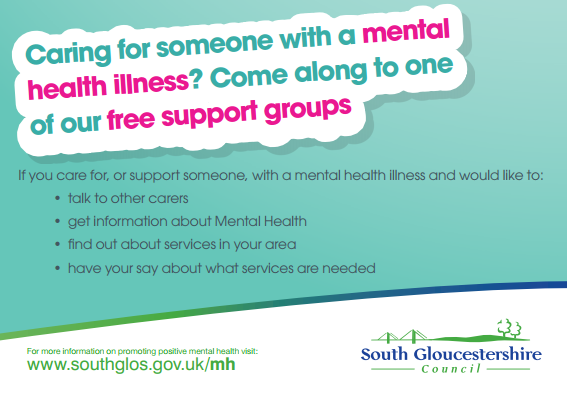 If you would like to find out more please contact the main reception and ask to speak with one of the clinical support team. Visit www.place2be.org.uk/what-we-do/parent-carer-resources.aspx to view and download Place2be’s resources, written to help parents and carers to support the emotional wellbeing and mental health of their children and young people. The Breakthrough mentoring team, established in 2003, support people of all ages from children to adults, with a range of needs. We assess individual need through our referral process to create a bespoke support plan. Based on an initial face to face meeting, we will match the service user to the mentor we think they will get on with the best, based on both personality and interests. We work one to one with our service users, however if required, we can also provide group support. During the initial meeting, we will look to find out about the activities that interest and inspire the service user, which can range from creative arts, outdoors & nature, sport and fitness, getting out and exploring areas, volunteering, life skills, community groups to relaxing and talking. All of the activities we provide help our service users to build natural relationships, confidence and positive mental health. To make a referral, please download and complete a referral form -which can be found on the Breakthrough Mentoring referral page – and follow the referral instructions on the page.